If you’re a follower of us on our Instagram page, then you’ll have no doubt heard/seen Good Measure and their superb selection of sweatshirts. 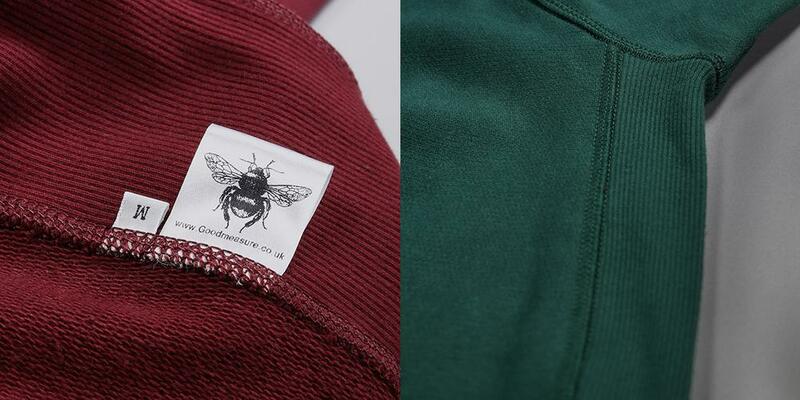 They have recently released two new colours of their sought after M-21 sweatshirt, a sweatshirt based on the vintage US Reverse Knit sweats, soylent green and gilbert grape. The M-21’s are all made in England and come in at a heavy 470GSM (grams per square meter), which is guaranteed to keep you warm during the winter months AND if you’re into limited edition, then these sweats come in a hugely limited run so the likelihood of you awkwardly seeing someone else wearing one is about as likely as [insert witty pun]. Now on to the technical, geeky stuff. The M-21 have double thickness ribbed side inserts, as well as a ribbed V neck. They come in a traditional fit and offer more durability at shoulder stress points due to them being strengthened internally and being bar tacked at all seam ends. Good Measure have a limited number of stockists, with Oi Polloi, Peggs & Son, Flatspot and Son Of A Stag being the lucky four to be selling them. Buy yours now from all the above shops or direct from Good Measure.